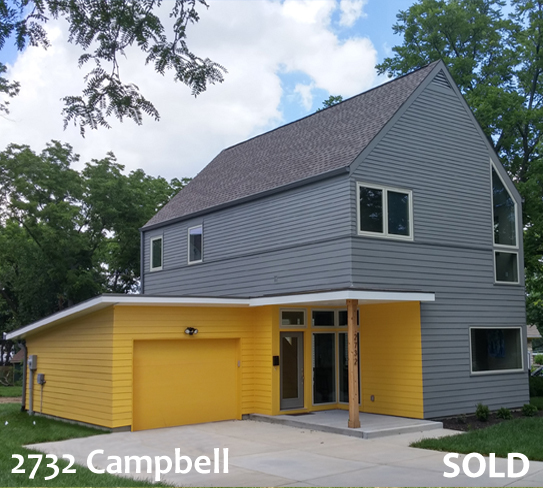 2732 Campbell Street – UC-B Properties is working with award winning architect, Randy Kietzman, to build six contemporary design 1,400 square foot three bedroom two and one-half bath single family homes. The first four sold quickly and only two remain available. These unique homes are fully tax abated for 10 years. The Longfellow neighborhood was a first tier suburb begun in the late 19th Century and still includes many historic structures reminiscent of early Kansas City architecture featuring Victorian, Collanade and Shirtwaist style housing. Doctors, nurses, lawyers and businessmen were early Kansas City pioneers who first called Longfellow their home.